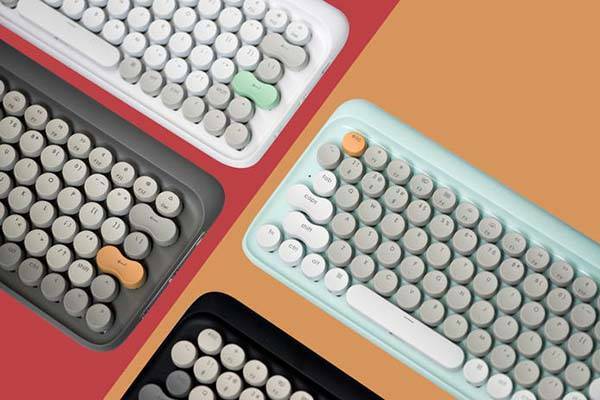 Following original Lofree wireless keyboard, Lofree has unveiled its latest Four Seasons retro mechanical keyboard with both wireless and wired connection. 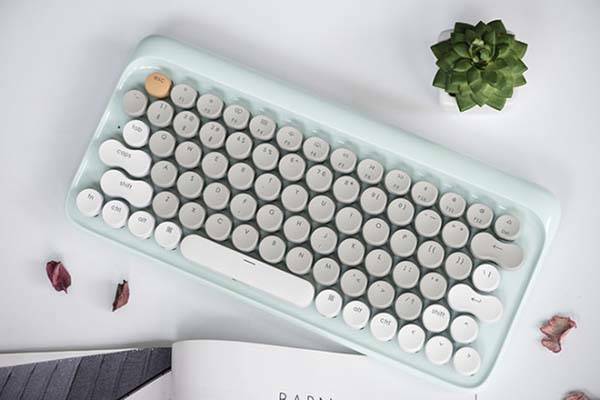 With vibrant colors and vintage design, the keyboard will bring more charming aesthetics onto your desk. Lofree Four Seasons is a beautifully designed and portable mechanical keyboard. As shown in the images, the mechanical keyboard has a similar typewriter-inspired appearance design, but it shows off four gorgeous season colors: vernal white, aestival blue, autumnal grey, and hibernation black, so it brings more vivid aesthetics to the vintage design. The wireless keyboard has a compact keyboard layout, and its Gateron blue switches provide a comfortable typing experience. Furthermore, the key positions of the keyboard are designed based on customer opinion for enhanced comfort and precision. 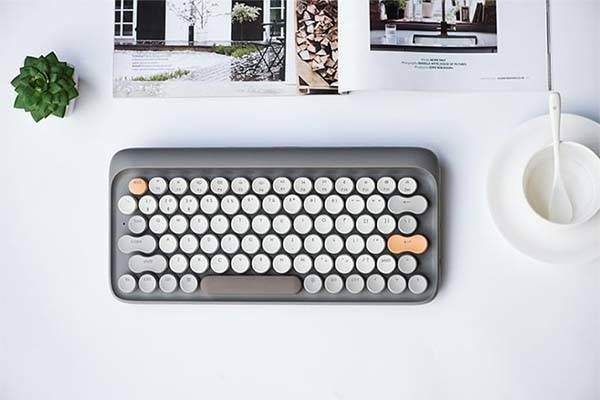 The retro wireless mechanical keyboard uses Bluetooth technology to wirelessly connect with your smartphone, tablet or laptop, and its built-in 4000mAh rechargeable battery offers up to 2 weeks of use on a single charge. Moreover, it also features wired connection that allows to work with any computer without Bluetooth. In addition, its 3-level LED backlit ensures it works well in low light conditions. The team behind Lofree Four Seasons has raised enough fund for the product on Indiegogo, but we can still preorder the retro mechanical keyboard by pledging $74 USD. It will be shipped in March 2018. The keyboard has been available on Amazon for $109 USD.